A live broadcast of Kenneth Branagh’s production of The Winter’s Tale has topped the UK cinema box office, with sales of more than £1.1 million. 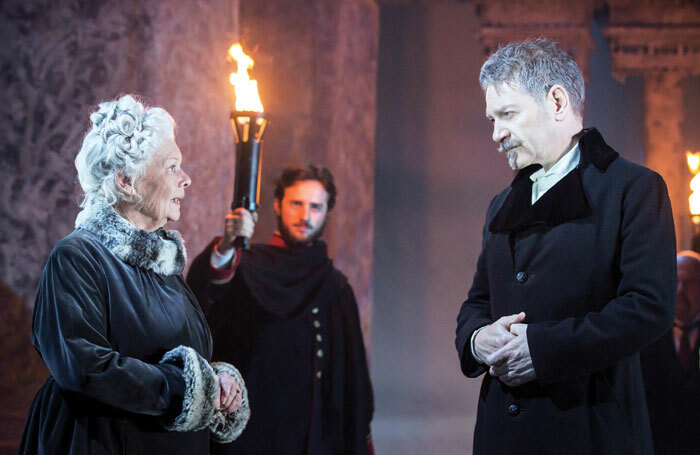 The play – which stars Branagh alongside Judi Dench – was streamed live to 520 cinemas in the UK and more than 100 cinemas internationally on November 26. Benjamin Caron directed the cinema broadcast, which took more at the box office than previous number one The Hunger Games: Mockingjay Part Two, according to overnight figures. Branagh is staging the play at the Garrick Theatre as part of a season of West End work by his own theatre company . Responding to the play’s box office success, Branagh thanked Caron as well as distributor Picturehouse Entertainment, which partnered on the broadcast. “To be able to celebrate our production of The Winter’s Tale with cinema audiences is a true privilege,” he added. Further productions in Branagh’s Plays at the Garrick season will be screened live in the same way, with Romeo and Juliet to be broadcast on July 7 . The Entertainer will be screened later in 2016. Encore screenings of The Winters Tale will be held in UK cinemas over the festive season, while international broadcasts in more than 1,300 cinemas are also planned.